Enough Hotel Rooms For NBA All Star Game In Sacramento? Proponents Say No Problem. The Sacramento Kings unveil the vision for Sacramento to host the NBA 2022 or 2023 All-Star game and related festivities. 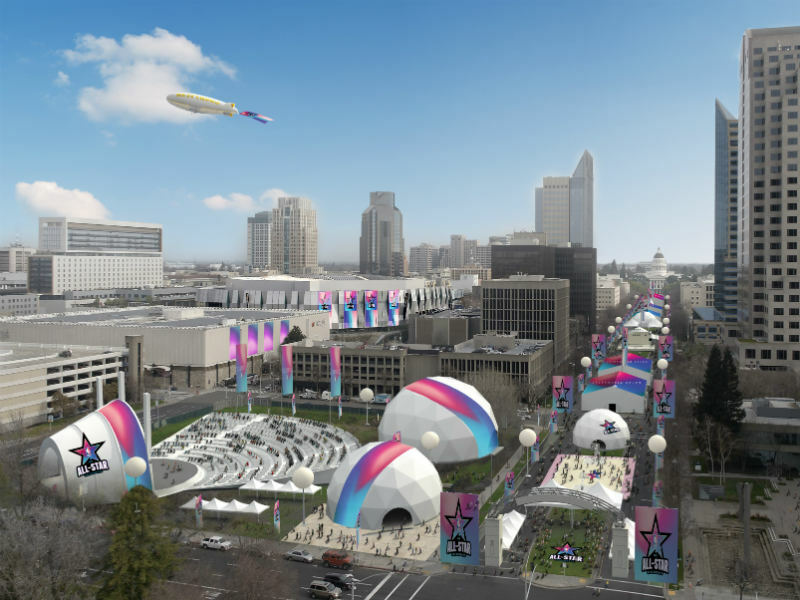 Sacramento has unveiled its pitch to host a NBA All-Star Game in four or five years. A major component of the proposal deals with hotel space near the Golden 1 Center. The city has about 3,300 rooms. The NBA would like at least 5,000. But Mike Testa, president and CEO of Visit Sacramento, says the Sacramento region — from Davis to Rocklin — has roughly 16,000 rooms. He said the bid to the NBA guarantees that “no matter where you are, [you will be] within 30 minutes or less” of the Golden 1 Center. “There's no other city that's able to do that,” he claimed. Part of the plan includes a dedicated freeway lane for All-Star traffic and cruise ships that would dock in the Port of West Sacramento to provide nearly a thousand temporary rooms. Testa says about 800 more rooms will likely be available within the next five years, when existing projects are complete. He added that at least seven hotels have been proposed in Natomas.